I am the Southern and Eastern Nautique Promo Coordinator. 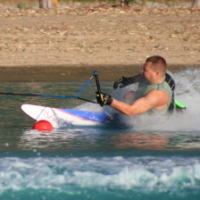 Our Team Members are not permitted to negotiate the use of their boats! However, anything the LOC decides they want to give to the Promo Team Member is greatly appreciated and will not be forgotten, such as hotels, entries etc. Also, many of my Team Members are drivers, judges and safeties so you get more then just the boat. There may be some Promo changes coming, so 2017 will be interesting. I just put my CP Promo on SIA this week. 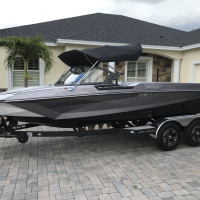 Hoping to sell it so I can order a new boat and provide it to the tournament skiers in my area for the next few years....I didn't expect to make money on this deal, and I appreciate when tournaments comp my entries and offer a meal or beverage at the end of the day. We are fortunate to have all 4 boats at most of the events....it's good for the skiers, the manufacturers and promo owners. At the end of the day, the ONLY ones benefitting financially from the promo programs are the manufacturers themselves. THEY should be the ones that get creative in making it more attractive and less of a financial burden on their "team members". LOC's are going above and beyond (in some cases) to keep these guys plunking down insane amounts of cash each year with little hope of 100% recapture. Why should it be just the LOC's. The manufacturers themselves need to join the party and quit cutting benefits to their beloved "team members". And, don't give me the worn out narrative "it only makes up 5% of their sales and they are altruistic in maintaining the programs for the skiers"....BS!!! If it didn't make money, they would never have pursued it in the first place. The sacrifices of the "team members" have kept these programs on life support - not the entities that benefit. From a financial perspective, the current day promo programs are as futile an effort as the loading of the ice making machine on the Titanic. I think maybe its not in a specific # of years, but in the hull design. If a mnfr doesn't change the hull, any year boat with ZO and the "current" hull may be run. Now, on the downside, if a mnfr comes out with a new hull, then, yes, every promo boat that is run in a tournament would have to have that.